A New Jersey businessman accused of killing his brother and the brother's wife and two children was about to be cut off from their technology company after money allegedly went missing from the firm, according to allegations in new court documents. A 16-count indictment unsealed Monday charges Paul Caneiro with murder, felony murder, aggravated arson and weapons offense. He also faces counts of theft, misapplication of entrusted property and hindering his own apprehension. The charges stem from the deaths of Keith Caneiro; his wife, Jennifer, and their two young children, aged 8 and 10. Their bodies were found after a fire broke out at their Colts Neck home on Nov. 20. According to the indictment unsealed Monday, police recovered bloody clothing, including jeans and a latex glove in Paul Caneiro's basement. The blood matches the DNA of the 8-year-old. The lawyers for Paul Caneiro said Monday they're reviewing the indictment and will need to review all of the state's evidence in the case before they can issue additional comment. Colts Neck is a well-to-do community about 50 miles south of New York City and is home to horse farms. Typical homes in the town of 10,000 are valued at about $750,000. Bruce Springsteen owns an estate there, and his son is a former member of the fire department. Former "Daily Show" host Jon Stewart and his wife operate an animal sanctuary there; Queen Latifah sold her mansion there in 2015. 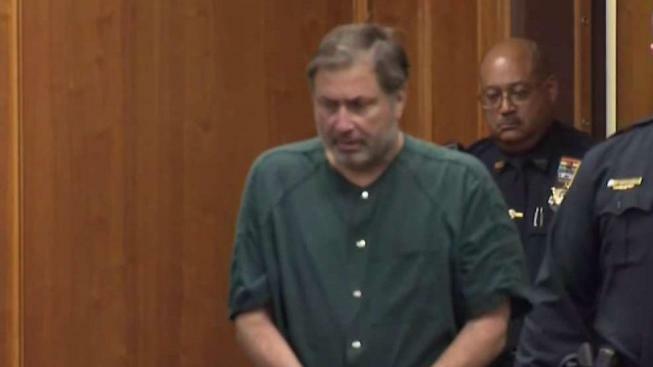 Authorities say Paul Caneiro shot his brother, Keith, shot and stabbed his sister-in-law, Jennifer, and stabbed the children before dawn Nov. 20, then set the mansion on fire and returned home in Ocean Township to set fire to his own home as his wife and two adult daughters slept upstairs. They all escaped. After his arrest in that fire, his lawyers said his family believed he had rescued them. Paul Caneiro has pleaded not guilty. His attorneys have said their client loved his family, had no reason to harm them and had been "wrongly accused." The Caneiro brothers had started a computer consulting business in Brooklyn that had grown to have 26 employees by 2001, with clients including Citibank. They had renamed it Square One, and moved to the quieter New Jersey suburbs. They married and started families — with each brother standing up for the other at their weddings — and added a pest control company along the way.